Last week, Motorola unveiled three new smartphones. Two carry the Moto X name, the Moto X Play and the Moto X Style. However today’s story covers the device that is likely to be the big seller, the third generation, 2015 Moto G. The Moto G is based around a 5.0-inch display of 720p resolution and a Qualcomm Snapdragon 410 processor, which is a 64-bit, 1.4 GHz, quad-core unit. There are two versions, one with 8 GB of storage and 1 GB of RAM, and the higher model with 16 GB of storage and 2 GB of RAM; both devices include a MicroSD card slot that can take cards of up to 32 GB capacity. Motorola have kept with their “pure Android experience” by using a stock interface and including a number of their third party applications designed to make using the device easier and more intuitive. There’s a 13MP rear facing camera that appears to be very similar to that of the Motorola-built Nexus 6, a 5MP front facing camera and a 2,470 mAh battery under a water resistant chassis. And finally, the device also comes with LTE support, which is what today’s post is about because it appears Motorola have dropped LTE Band 12 support from the unlocked Moto G device. Motorola’s specification sheet shows that the unlocked Moto G, model XT1540, supports LTE bands 2, 4, 5, 7 and 17. The prepaid device for Sprint, US Cellular and Virgin Mobile, model designation XT1548, supports LTE bands 2, 4, 5, 12, 17, 25 and 26. The unlocked model does not support bands 12, 25 and 26. Let’s put Band 12 into perspective. This is where T-Mobile US are and have deployed spectrum at around the 700 MHz point of the frequency scale. This gives the LTE signal much better penetration compared with using high frequency signal. It’s also where official T-Mobile US handsets can use VoLTE, that is, Voice Over LTE. This means that when a call is placed or received, the device will stay connected to the LTE network and this means customers benefit from both a high speed Internet connection and of course a voice call. However, for those devices that are not official T-Mobile devices, also known as, “bring your own device,” many of these devices do not support T-Mobile US’ VoLTE system and so are unable to handle the call whilst connected to the LTE network. These devices must drop to either a 2G or 3G network for the call. Some unlocked devices are supported by T-Mobile, or support is included in a software update such as the Nexus 6. The potential problem is that in certain locations, the T-Mobile network may have LTE band 12 coverage but no 2G or 3G coverage. Presumably in order to prevent the device from connecting with T-Mobile’s LTE network but not being able to make any calls, T-Mobile or Motorola have disabled band 12 support from the unlocked device. This in turn may mean that customers with an unlocked device using the T-Mobile network may not get as good coverage as customers with an official T-Mobile device, which is an unfortunate situation. And whilst it may be easy to point the finger at T-Mobile and blame them, we must remember that VoLTE systems and indeed rolling out coverage across the different frequency ranges is still at a relatively early stage and the situation will improve going forwards. Nevertheless, if you are an existing T-Mobile US customer and have been considering the Moto G device, it may be worth further investigation as to what bands your current handset uses and what your coverage is like on T-Mobile’s various networks. 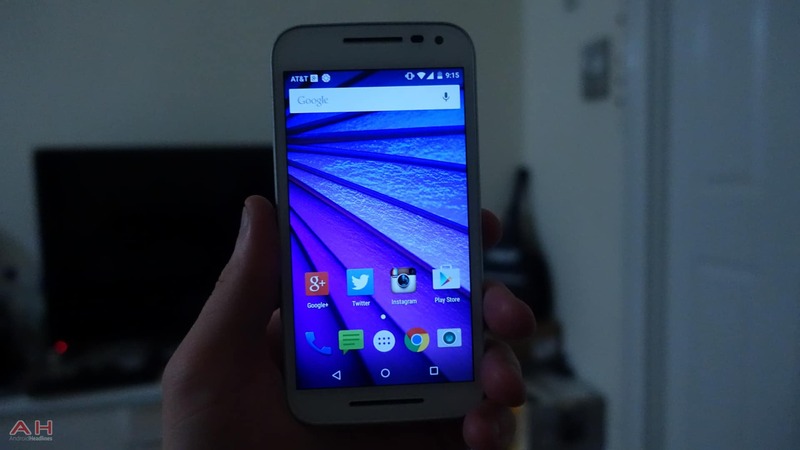 The post Unlocked Moto G (2015) Will Not Support Band 12 LTE appeared first on AndroidHeadlines.com |.